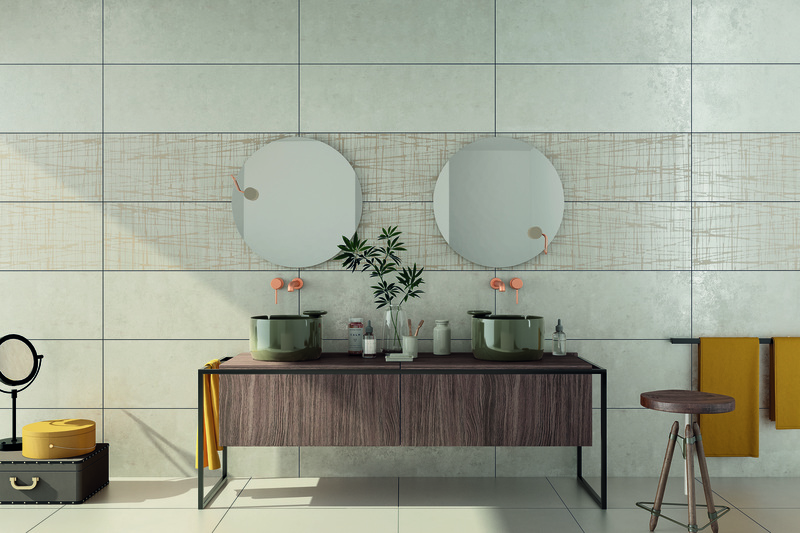 An exciting interaction of stone and ceramic. The “Cameo’s” look is inspired by the visual appearance of sedimentary rock. Its colouration and surface are rather natural and subtle. The base tile is finished with a concrete, screed look. It is available in cool and warm versions – “Beige”, “Sand” “Grey” and “Cement”. 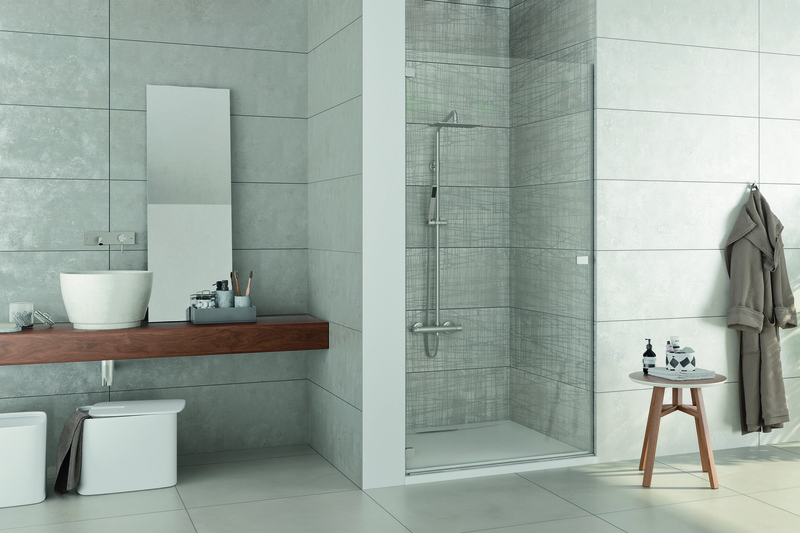 The “Parilla” decorative tile provides a stark graphical contrast to it. The casually shaded pattern does not look like it has simply been printed on top, but rather demonstrates the best ceramic quality – and can also be used on large areas. 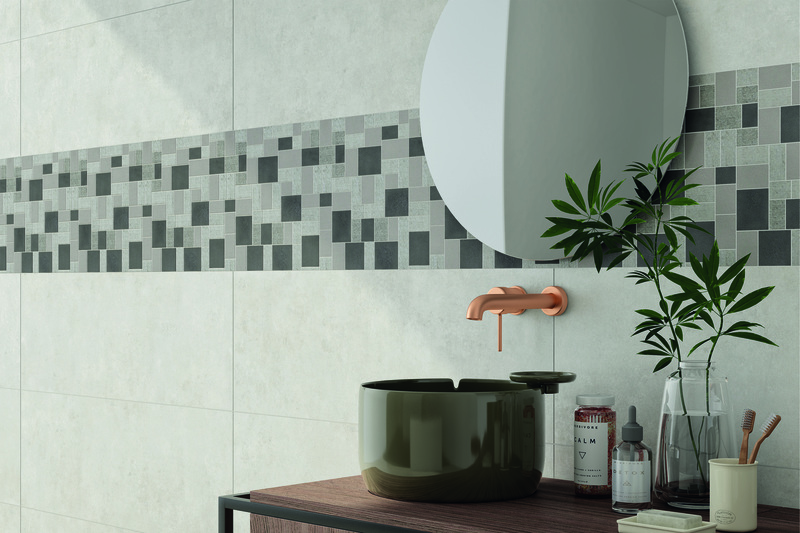 Alternatively, there is an irregular mosaic in 30 x 30 cm as a decorative tile, which is cut from the “Campus” and “Patchwood” porcelain stoneware series. 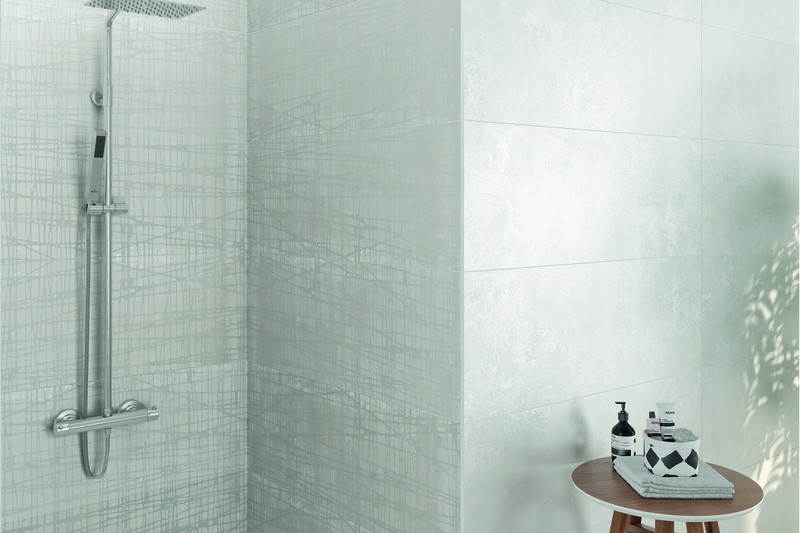 All of this makes the “Cameo” a true Steuler –Head of Export, Matthias Hansel, thinks so too: “The décor and also the surface of the base tiles bear the clear hallmark of Steuler-Fliesen,” he says, “and this comes into its own fantastically on our new large format of 35 x 100 cm”. This was successfully introduced by the tile manufacturer in 2017, the year of its 100th anniversary. The elegant effect of this generous, slim proportion is emphasised still further by its rectified edges. To complete the mood in the bathroom, “Cameo” on the walls would do well with either “Campus” or “Patchwood” on the floor. The first one is for everyone who prefers a tonal scheme, the second for those who like to combine the concrete look with the wood look and thus place a new emphasis.